Why not just stop by for a visit? microTOOL is easy to find. 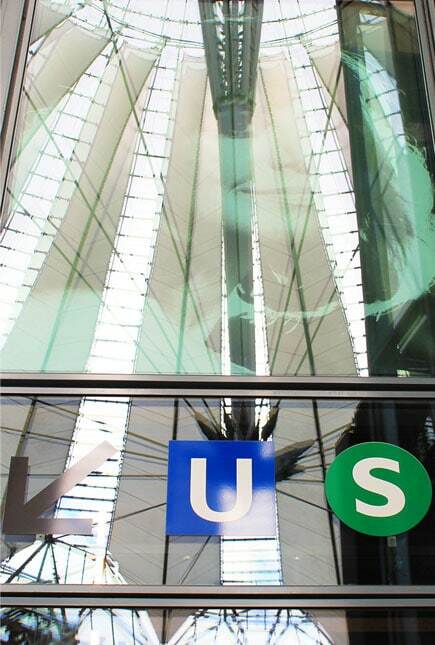 Take the subway (U8) to Voltastraße, or hop on a S-Bahn (S1, S2 or S25) or a bus (347) to Humboldthain. From there it is only a short walk. If you plan on coming to microTOOL by car, please note that the centre of Berlin inside the S-Bahn ring has been designated an Environmental Zone. 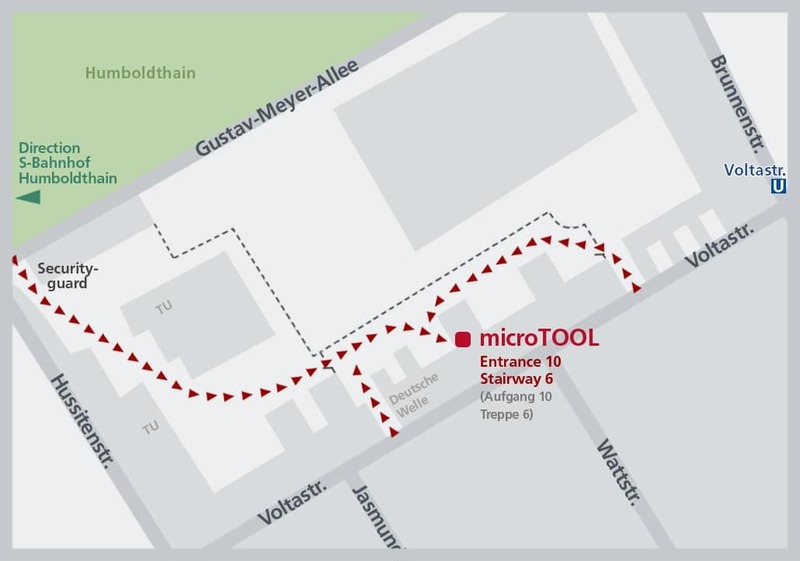 microTOOL is located in the heart of Berlin. And many places of interest are just around the corner. Potsdamer Platz is always worth a visit. The lookout point Panoramapunkt, Europe’s first traffic light, the tent-like Piazza inside the Sony Center, the halls from the Belle Epoque, the new Mall of Berlin, the Marlene Dietrich Platz, Musicals and Shows – there is a lot to see and do. Named after Russian tsar Alexander I. and just called Alex among most locals, the Alexanderplatz is one of the most frequently visited places in Berlin. More than 360 000 people come here every day and make it the fourth-busiest place in Europe. 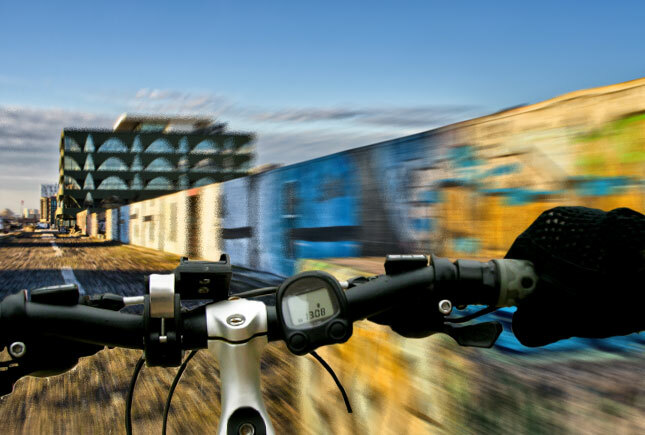 Would you like to rent a bike and experience Berlin on your own paths? The East Side Gallery is definitely worth the effort. Located in Friedrichshain, it is regarded as the world’s longest permanent open air gallery. It can be found on the longest existing segment of the former Wall of Berlin in Mühlenstraße between the Ostbahnhof and the Oberbaumbrücke, along the river Spree. Are you any good at skateboarding? 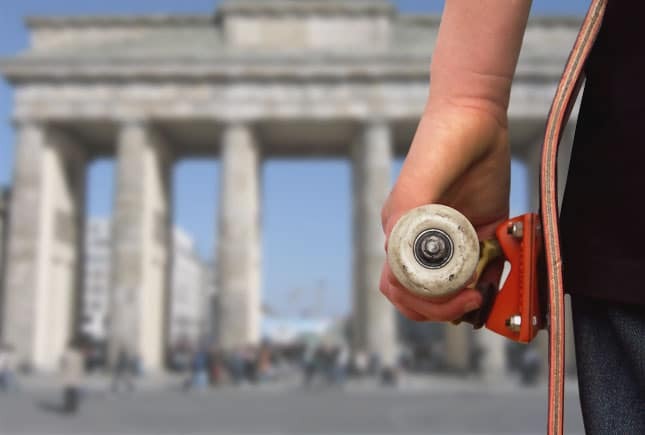 It is only 4.5 kilometers to Brandenburger Tor thus it takes not even 20 minutes to get to Berlin’s most famous landmark. 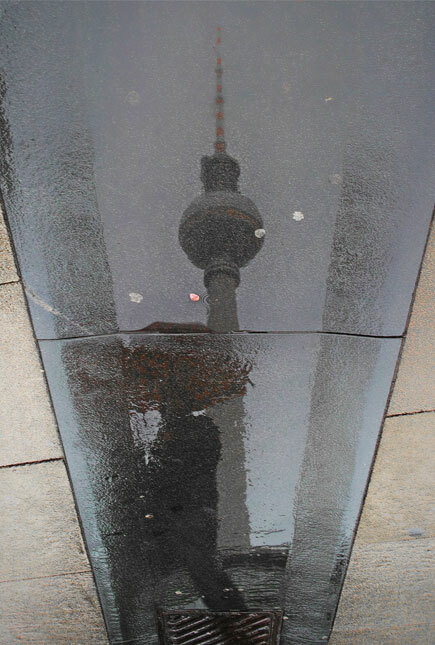 The former symbol of German separation and the division of Berlin now stands for Germany’s reunification. An absolute highlight of every Berlin visit with amazing buildings and the maginificent avenue Unter den Linden right around the corner. May we recommend a hotel for your visit? Yes, please recommend a hotel.